Alois Springer accepted this invitation. 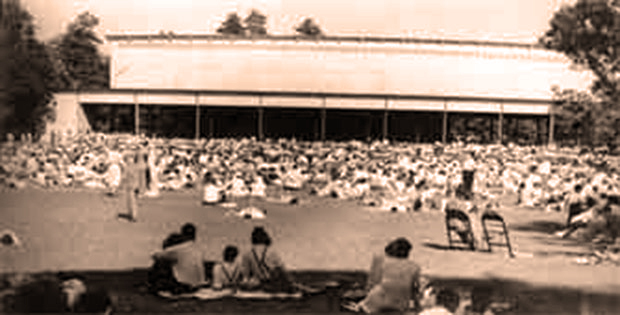 In Tanglewood, he won the coveted Koussevitzky-Conducting- Prize and the Eleonore R. Crane Memorial Prize. 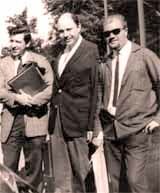 But equally important were the meetings with great personalities of the history of music during his first Berkshire Music Festival summer in Tanglewood. For Alois Springer these were meetings with „lighthouses for his further way“, among them Samuel Barber, Aaron Copland, Charles Munch, William Steinberg, Zoltan Kodaly, Sir Adrian Boult and the jazz musician Gunther Schuller, but also with the young ambitious Korean composer Isang Yun, who had just escaped from his North Korean death-sentence. This meeting of decisive importance occurred at the liveliest place in Tanglewood, in the students‘ cafeteria. Alois Springer had conducted the Berkshire Student Orchestra the evening before with „Don Juan“ by Richard Strauss, was just through an appendectomy and had virtually jumped from the operating table to the conductor’s desk. It was Leonard Bernstein. Although still bound to RTL as a conductor, Alois Springer could not resist this call. 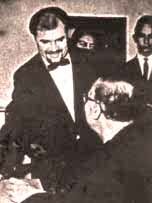 He went to New York, won the 1st prize in the Dimitri-Mitropoulos competition with gold medal, became Leonard Bernstein`s personal assistant and co-conductor of the New York Philharmonic Orchestra. For Alois Springer, highlights of this period were his performances of the famous „Young People`s Concerts“ series, among others with the twelve-year-old cellist Lawrence Foster, the meeting with Karl Böhm and the Vienna Philharmonic Orchestra during the 125th anniversary of both large orchestras. He was sitting next to Karl Böhm in the philharmonic hall, both listening to Bernstein´s rehearsal with the Vienna Philharmonic, when Böhm nudged him: “Look, look, there Lennie dances again“ (in an Austrian dialect), then stood up and left. 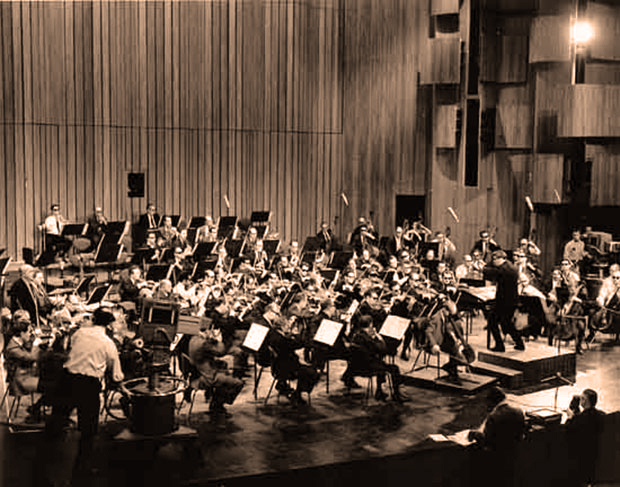 At the gala concert in his honour by the New York Philharmonic it almost came to a confrontation between Leonard Bernstein and Alois Springer during a rehearsal for „Death and Transfiguration“ by Richard Strauss. Bernstein sat in the back row of the Philharmonic and shouted to Springer while the apotheosis faded away into pianissimo: „I don’t hear anything anymore.“ Alois Springer turned round and replied to the maestro: „Then it is still too noisy“. The orchestra was shocked by such disrespect and stopped playing. At the following reception, attended by among others, Harry Belafonte, Frank Sinatra and Barbara Streisand, Springer flirted with one of the “serving girls” backstage. Later, he discovered it was Barbara Streisand! At a reception in honour of the laureates in Blairhouse, the guesthouse of the White House, Alois Springer met Claudio Abbado, subsequently chief conductor of the Berlin Philharmonic Orchestra. An unforgotten meeting. Unforgotten in Alois Springer’s memory are also the images of total submersion of two great conductors in the artists‘ room in Toronto, before a concert: Leonard Bernstein and Seiji Ozawa immersed in a yoga position, kneeling face to face. Also engraved in Alois Springer’s memory is Bernstein´s now legendary kiss of the cuff-links he had received as a present from Serge Koussevitzky, before approaching the podium. Likewise, Bernstein greatly emphasized his cape, his regalia, which he wrapped around himself as the official dress of a celebrating conductor. 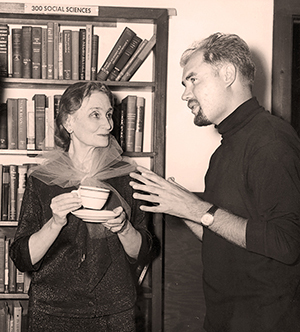 “I got the cape from Koussevitzky. Tell me, when you will get the cape”, he challenged Alois Springer. 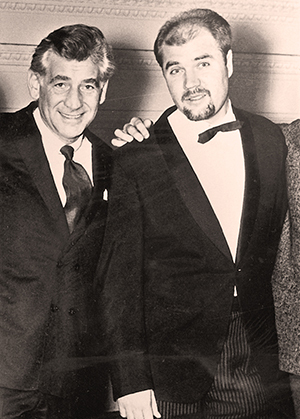 On the Canadian tour of the New York Philharmonic Orchestra, when Springer and Bernstein had already known each other for some time, Leonard Bernstein asked a most vital question: “Do you believe?”. Only then did Springer recognize the deep religiousness of the master, which he had incorporated in “The Mass”, a musical monument of communion and embrace.